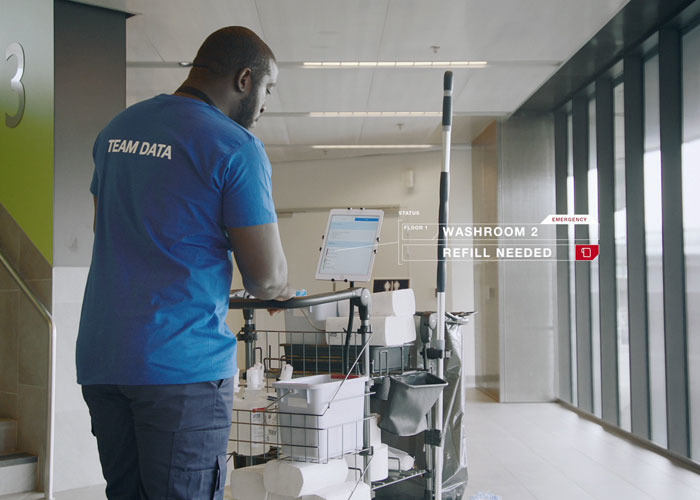 Data-driven cleaning is the latest evolution of professional cleaning. 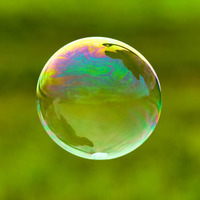 Want to learn more about how it’s affecting the industry and how it can benefit your business? 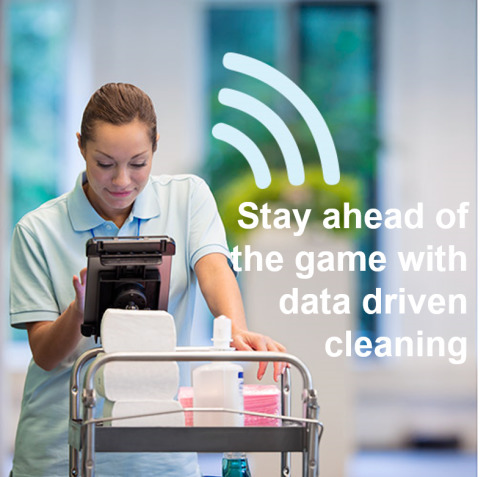 Read our insider’s guide to data-driven cleaning. 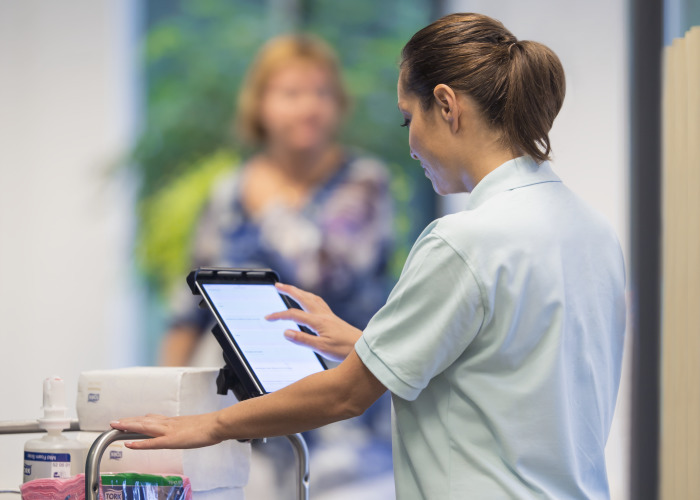 Tork EasyCube™ is a facility management software that collects real-time data from connected devices and dispenser systems. 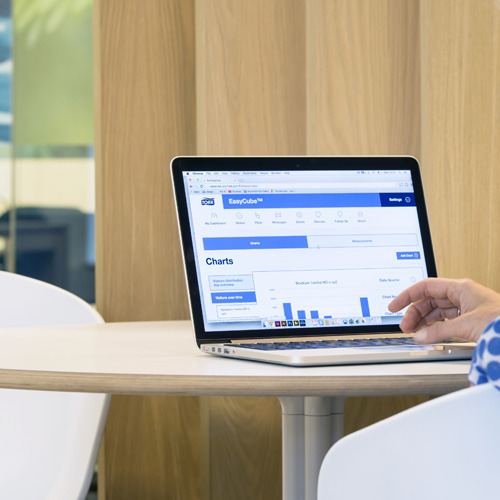 Displayed in an easy-to-use web application, precise information directs cleaning teams to exactly where they are needed. Every task matters. The result is a new logic for cleaning that provides concrete labor savings, greater customer satisfaction and a revolutionary boost to staff motivation. See how Tork EasyCube™ ensures top cleaning quality at Welle 7, urban concept centre. 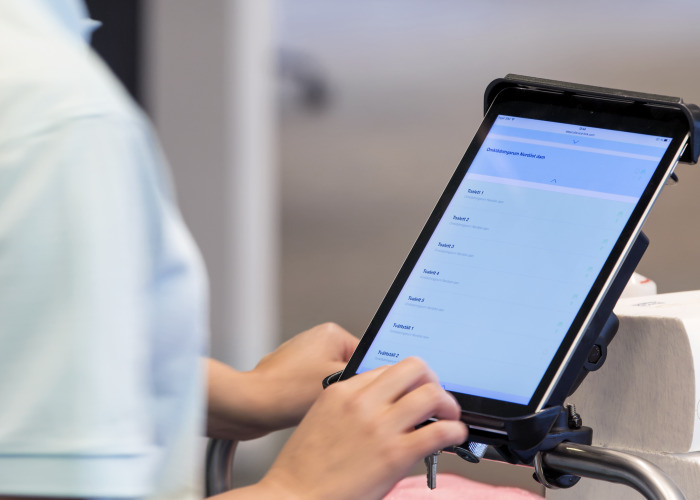 Data from connected devices is collected and displayed in the Tork EasyCube™ facility management software. Measurements track and predict use. Cleaning statistics can be used to plan for increased efficiency. 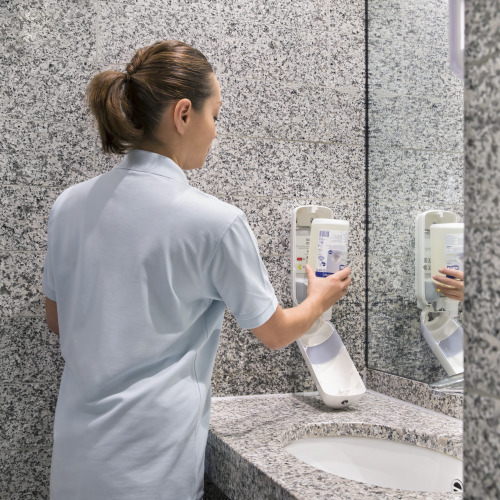 Rather than responding to complaints about an under-stocked washroom, facility managers and cleaning personnel can take a more proactive and flexible approach to cleaning. In the short term, real-time data organized into color-coded analytics shows cleaners which areas need immediate maintenance. And over the long term, managers can use the statistics to make information-based decisions about optimal cleaning routines. 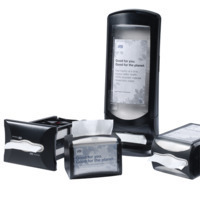 Connected devices, such as toilet paper and soap dispensers, continuously transmit information about their supply levels to the Tork EasyCube™ cleaning application. 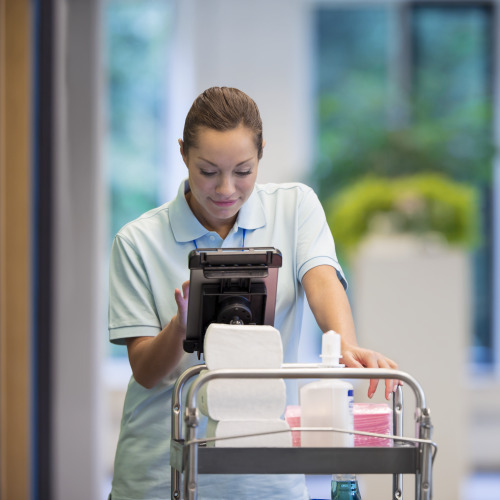 Cleaning staff can know ahead of time which supplies to bring on their trolleys and in what amounts, minimizing trips to the supply closet. Tailored to each individual business, Tork EasyCube™ enables managers to plan optimal maintenance routes, informed by information about frequently trafficked areas and peak hours. 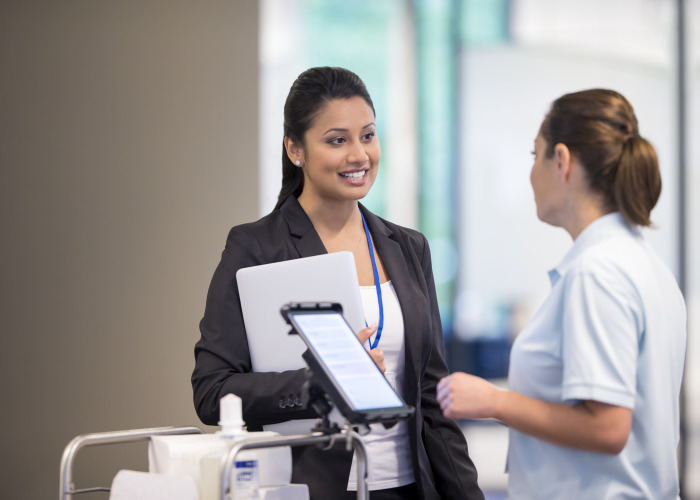 The facility management software’s messaging function also provides an effective way of communicating maintenance needs in real-time. Cleaning teams can stay in direct contact with their managers and each other, even when spread out over large distances. Information makes it easier for everyone to make the right decisions. Observing the use of supplies over time, managers can make smart decisions about budgeting and purchasing. 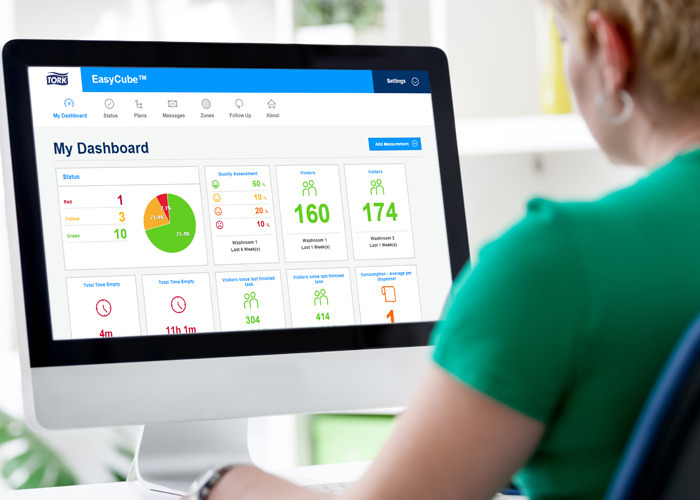 Managers can also monitor performance against KPIs, ensuring the highest quality of cleaning is provided at the lowest cost. Tork EasyCube® enables us to improve quality while keeping costs low, which is a very unique combination in the cleaning industry.